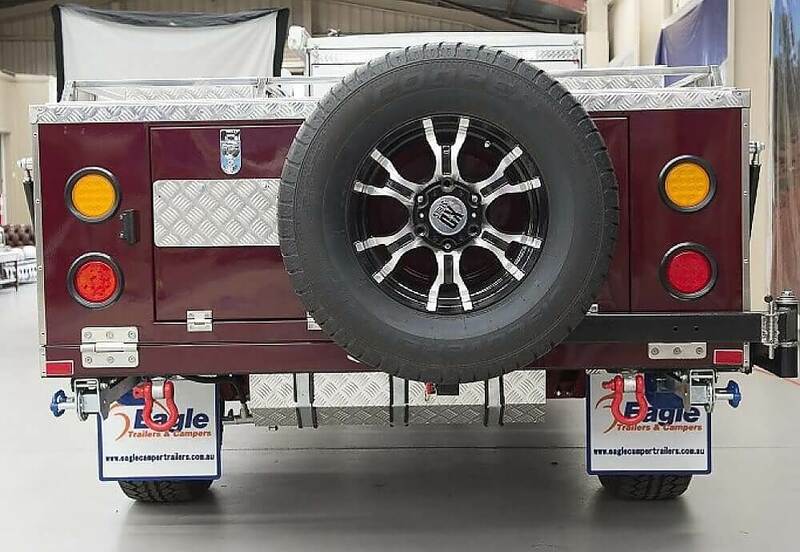 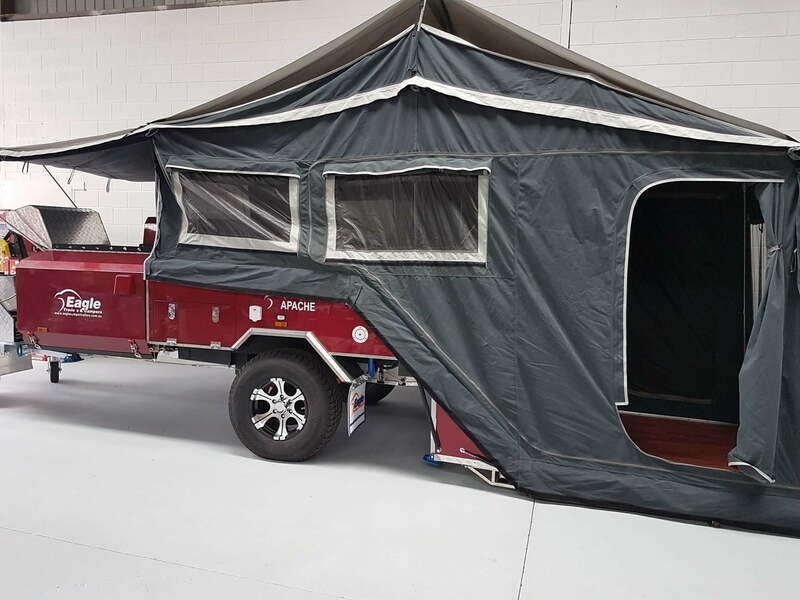 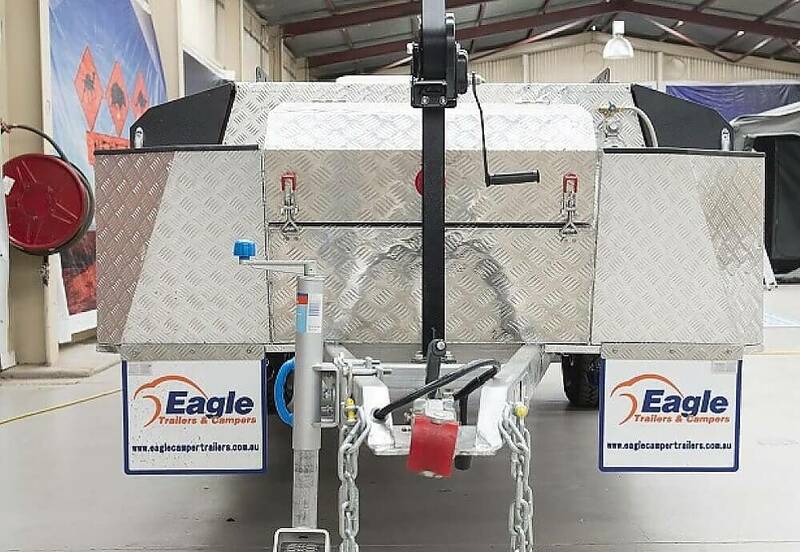 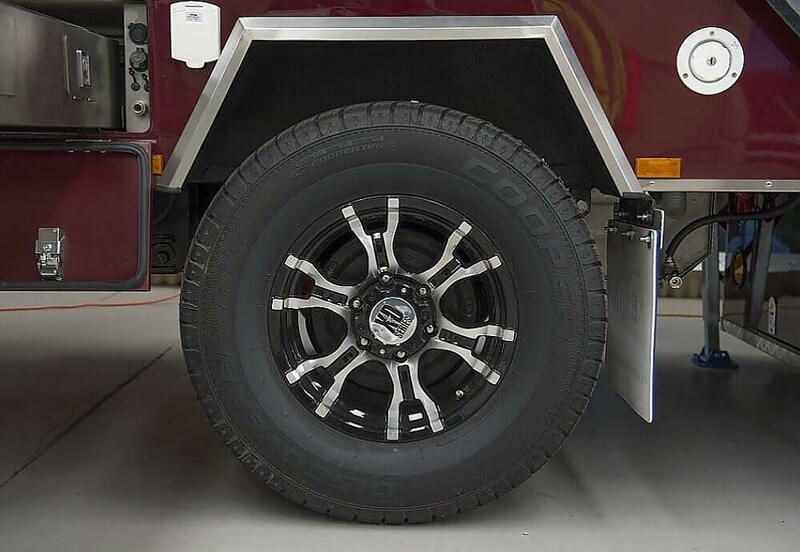 The Eagle Apache Rear Fold Camper Trailer has full off road capabilities. 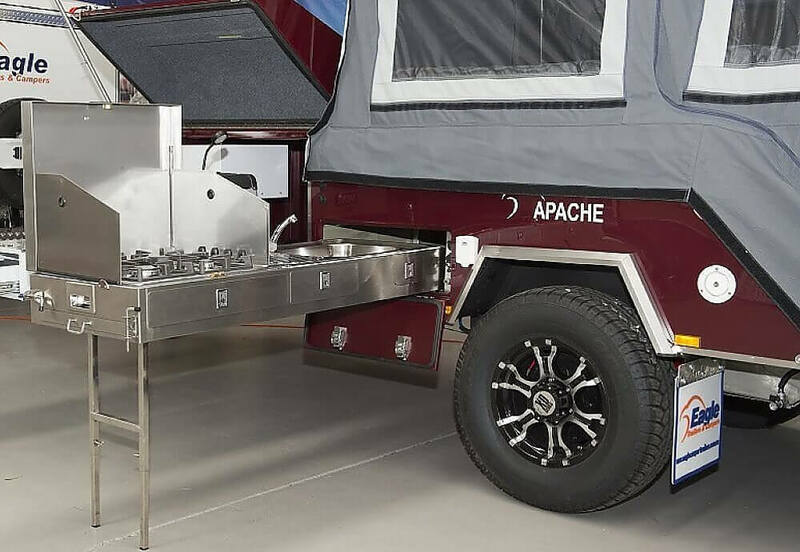 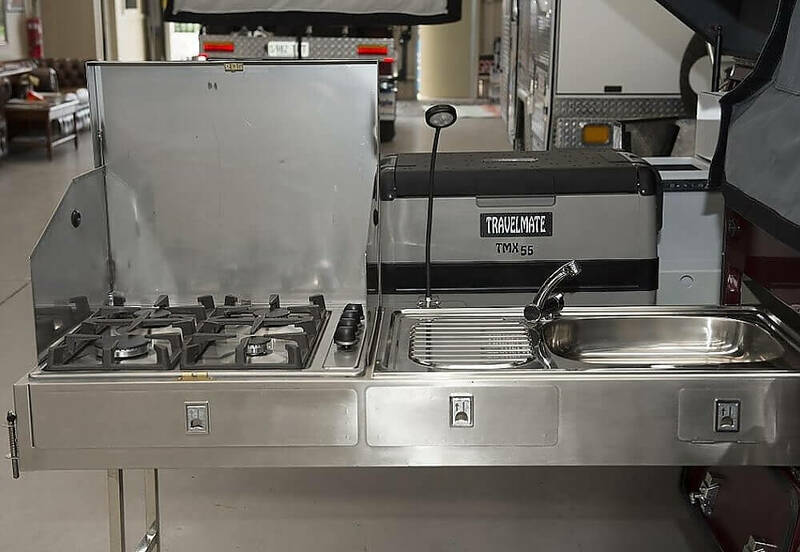 This Hard floor Camper Trailer offers a Quick set up saving time and effort preparing your home away from home. It will also keep you high and dry wherever you are travelling to. 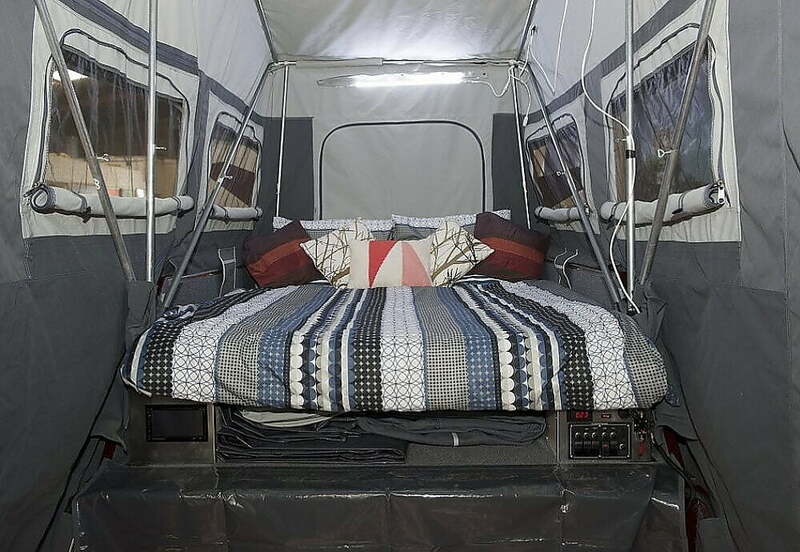 The benefits of owning a rear fold camper trailer is that it is ideal for 2 people. 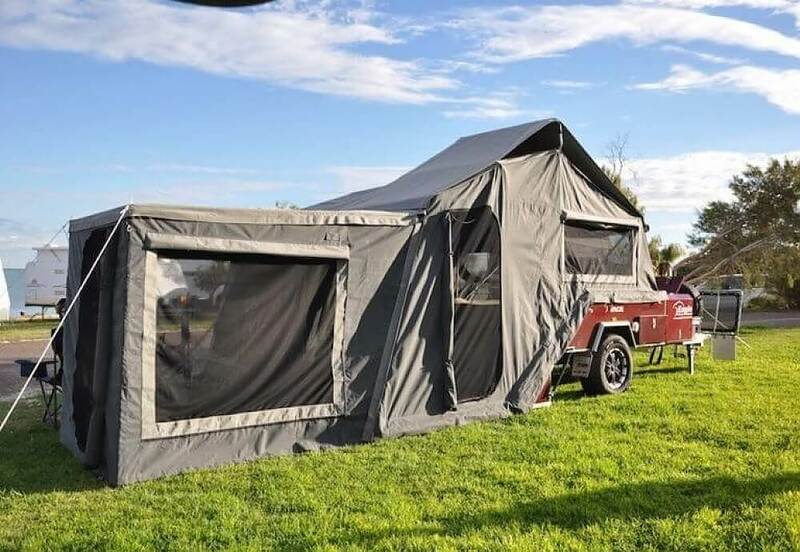 The camper can easily be extended with an annexe and walls or rear bedroom to accommodate a young family, providing you with lots of extra space. 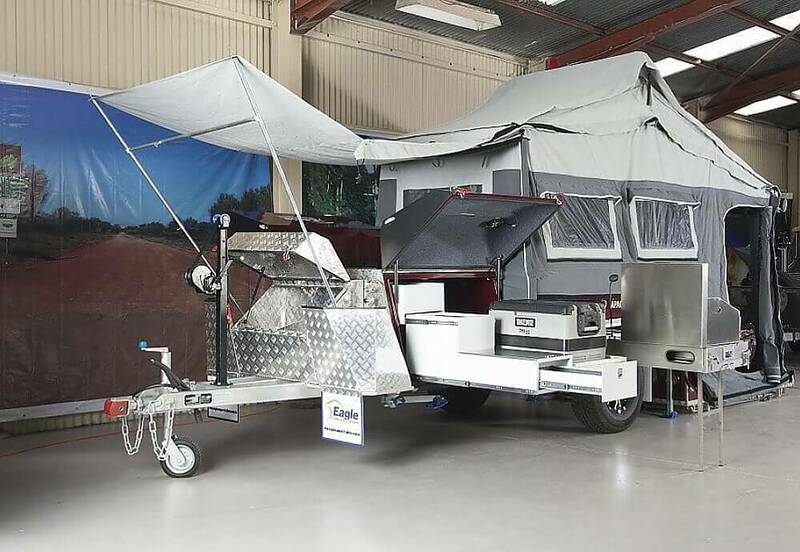 Which are all included in the price of this camper trailer. 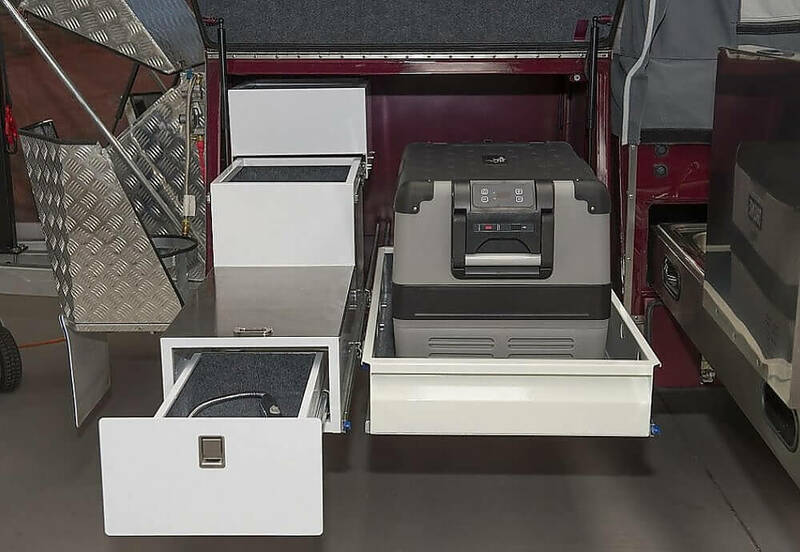 It’s sleek compact design makes it easy to maneuver and erect, and can be easily stored when not travelling.